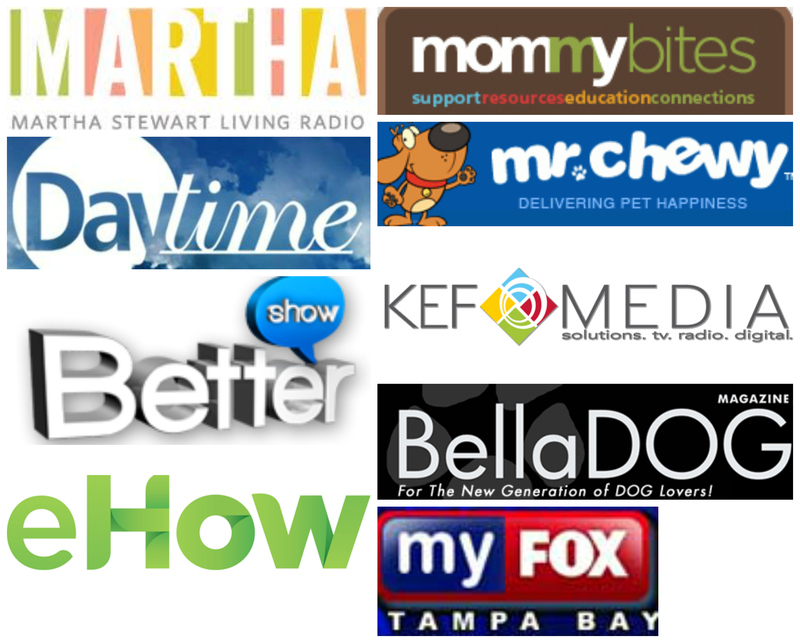 Over 50% of Americans own a pet and over 50% of pet owners consider themselves parents vs owners. We understand! And, it shouldn’t surprise you that nearly 63% of us will include our pet on our holiday card. 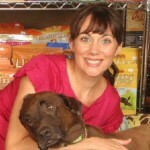 So, what do we get the pet lover this Christmas or a pet lover that is adding a pet to their pack this holiday season? 1. Puppy pads are a good thing to add to a puppy starter kit for the first time pet parent. Puppy pads can assist in potty training and some pet parents with small breed dogs opt to use puppy pads indefiintely and not just for training purposes. If purchasing as a gift, simply get a very small package to introduce the pet parent to the idea. 2. ID Tag. This just might be the most important gift you give the pet parent as it can help save a life. You must know the name of the pet and a correct phone number, but you can purchase them for under $10 at most large pet stores. 3. Waterproof Dog Beds- ok, a bit more pricey but awesome. I took a bed from Dog Gone Smart Pet Products with me today and water literally roles right off! Perfect for puppies or older dogs with potty problems. Not to mention, smells and odors are not absorbed. Is this for real?? Yes! Prices run $60-$130 depending on size. 4. Super absorbent shammy and doormat- pet clean up can get easier! Dog Gone Smart Pet Products doormat helps to collect dirt, mud and water like you wouldn’t believe (I have a huge runner in my home and love it) and Soggy Doggy Productions has made an amazing shammy to soak up 7x more water from your dog post bath. Doormat is approximately $35 and the Shammy is around $20. 5. Candles- You can’t go wrong with a candle usually. 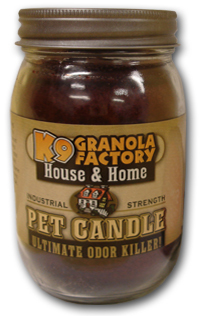 The candle from K9 Granola Factory is infused with essential oils to help eliminate pet odors from your home. I am using one in my store now and do really like it. Candles are super affordable at under $13. 6. Between bath spray- I use this product weekly with Abe and Chico. The brand I brought to Fox News was an Eau De Toilette by Mutt Nose Best. So nice to keep your pet and home smelling fresh between baths. Bath sprays are priced at around $13-14. 7. Support local rescues and causes- if you are like me, you have a few pet rescue groups that you love and don’t mind wearing a pet inspired tshirt once in awhile (I admit, I love them). Today I showed the Dachshund Adoption Rescue and Education 2014 Calendar and the new tshirt by Friends of Davis Islands Dog Parks. Both groups have wonderful missions and both items are reasonable. $10 for the calendar and $20 for the tee. 8. TREATS! Now this is what most dogs want, right? Tis the season! Go for something fun and inspired with holiday flavors. Such as Tumbleweed and Eddy’s Festive Feast! Priced at $8. 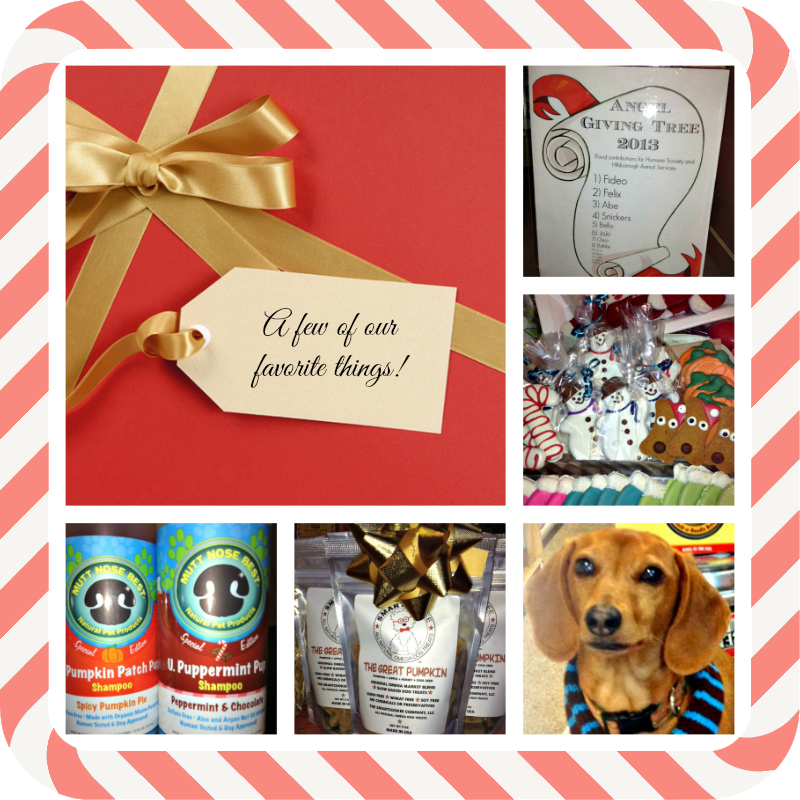 I hope this gives you just a few ideas to spoil the pet parent you love or the favorite four legger in your life. Happy Holidays!